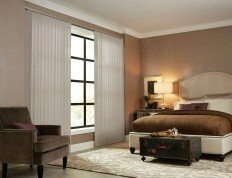 Shades are a versatile choice of window coverings for privacy, light control, fashion or all 3. Real Blinds Superstore offers a selection of styles and materials to fit any home décor while being practical. For panel, vertical or Venetian blinds, our Edmonton, Derwent and Vegreville showrooms carry a huge selection. The right blinds can be a great way to complement the style of your room while also offering practical benefits and even reducing your energy bills. Cellular shades are one of the most energy-efficient blinds on the market. We have them available in light-filtering or blackout fabrics, in double or single cell. 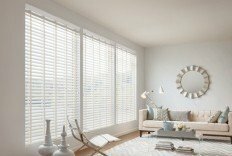 Horizontal Venetian shades are available in a range of thicknesses and materials. Our company manufactures these shades with high-quality tubes and clutch controls. 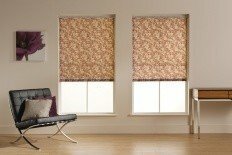 Contemporary fold-up shades are available in a variety of styles, colours and textures. We stock over 5 million feet of vertical blind material in about 1,600 patterns and colours. 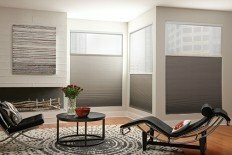 This is a stylish European alternative to vertical blinds.